For a holiday that lasts a week, people get really stressed out about cooking and baking. I get it – I’ve baked hundreds and hundreds of Passover chiffon cakes and I still occasionally have a flop. 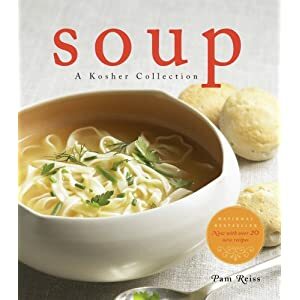 But I’m going to let you in on a little secret – for a lot of my recipes, I just take the regular version and make it with kosher for Passover ingredients. When it comes to things like chocolate chip cookies you have to be aware of a couple of things but otherwise it’s pretty easy to convert. There are a lot of products readily available now that were not so easy to find when I was growing up, but you can now buy kosher for Passover baking soda and vanilla extract. The only major difference is that instead of flour I use matzo cake meal and the thing you need to know is that you’re going to use less cake meal. My theory is that because cake meal is ground up matzo and has already been baked, it’s drier than flour so it’s going to absorb more liquid. So in my original recipe it calls for 10 ounces of all purpose flour and for the kfp version, I use 7 1/4 ounces of cake meal. Preheat the oven to 350°F. Make sure you have two racks in the middle of the oven and line two baking sheets with parchment paper. Cream the butter and sugars together in a stand mixer with a paddle or in a mixing bowl with a wooden spoon. Add the eggs and vanilla and mix until well incorporated. Add the baking soda, salt and cake meal and mix until combined. Add the chocolate (and anything else you’d like) and mix through. Now, at this point the dough may look a little loose. Do not add more cake meal. I promise you that as the dough sits for a few minutes, the cake meal will absorb the liquids and thicken up. I prefer to scoop the dough out while it’s still loose. I use a small, 1-ounce (or 2 Tbsp) ice cream scoop (or you can use two spoons) to drop dough onto the parchment lined baking sheets, leaving room between each cookie as they spread as they bake. If you scoop the cookie dough immediately after mixing, it should spread out a bit on it’s own. If the dough sits and thickens up before you scoop it, once it’s on the baking sheets use your hand to flatten it a bit. Once the two trays are filled, place them on the middle racks of the oven for 8 minutes. Turn the trays around and switch their positions (the one that started off on top should now be beneath the other tray which is now on top) and bake another 7 minutes or until the edges are golden brown. This recipe makes approximately 24 cookies and they freeze well in an airtight container or bag.